isn’t surprising given that I have only been blogging for just over a month. I am so thankful that so many of you have already popped over and looked at my recipes and decided to like them, commented and even decided to follow my blog (and hopefully some of you have also tried a few of the recipes out :)! Life Diet Health is a vegan and gluten free recipe blog with a lot of information about nutrition. How much time per week do you spend on your blog? A couple of hours at least between buying the ingredients, trying the recipes out a few times to get the recipe just right, taking photos, writing the blog, then editing it a few times so it is as simple as it can be (I hope!). Do you use Instagram, Facebook or Twitter in relation to your blog? I don’t! What is your all-time favourite food? It’s a tie between Cabury’s topdeck chocolate (half milk chocolate and half white chocolate) and pad thai. What mode of transport do you use the most? Definitely the car. How long did you think about starting a blog before you actually created it? Probably about 5 months … that’s not too long is it? What’s the best thing about your blog? I don’t know? I love photography so i’m having a lot of fun playing with the camera taking photos, but I am also enjoying editing and adapting recipes and creating my own, so maybe the recipes? I don’t know! Pass! If you could jump on a plane right now where would you go? Canada. I would love to be in the cool climate and to explore the amazing outdoors of Canada right now .. take me there please! What three things would you say about yourself if you had to introduce yourself to a room full of strangers? I’m outgoing, love photography and watch way too much crappy tv. 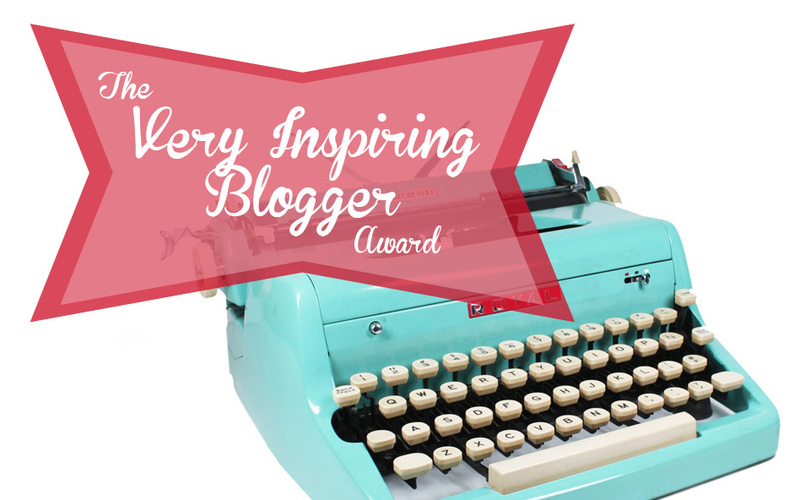 What’s your favourite part of being a blogger? Being able to connect with people that you wouldn’t be able to otherwise. What advice would you give new bloggers? Blog about something that you are interested in – it doesn’t matter what it is, if you are interested in it that will shine through – and definitely have fun doing it! What was your favourite childhood storybook character? Would you rather live at the beach, in the bush or in the city? Do your friends and family know you have a blog or have you kept it secret? Where is your favourite place that you have ever visited? What dish are you proud of that you have finally mastered? What random fact did you have an ‘ah ha’ moment about that you want other people to know? Congratulations on being nominated :). I hope you feel as honoured as I do! You don’t have topdeck? I would almost say you haven’t lived but that MIGHT be taking it too far. It really is amazing though! Thanks again for the nomination :).